DotCom 2.0 are the kind of shoes that you put on and just want to go. Doesn’t matter where, just as long as you are on your own adventure! Everyone knows shoes have to be broke in before they are ready to really be walked in. 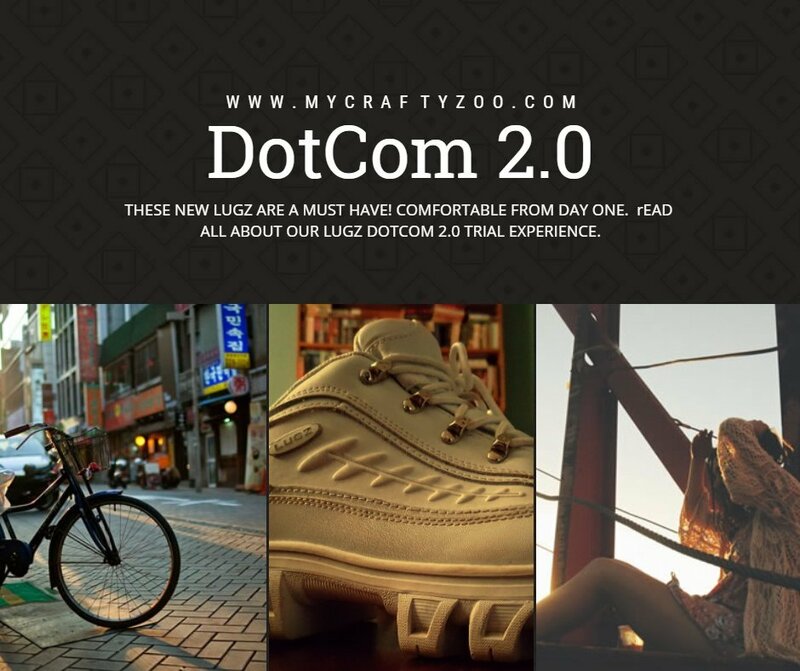 Lugz DotCom 2.0 has changed that totally! Seriously, you can buy these shoes and go to an amusement park or wherever with no regrets! Dry Feet in Mud Puddles! The pair I’m reviewing is the DotCom 2.0 in white leather. You are a smart person, from reading the above review you know that they are comfortable. So, I’ll go on to other fabulous aspects. It’s winter right now, and in Arkansas that means a whole lot of mud, rain and an occasional day or two of snow. Needless to say, groceries will always become necessary when you don’t expect bad whether. Haha. So, into the pouring rain I went with my DotCom 2.0, white leather shoes. Don’t judge. It wasn’t necessarily on purpose. Here’s the thing though: my feet stayed DRY! In literally an inch and a half of water, my feet didn’t get wet at all! I’ve never had a pair of tennis shoes that kept my feet dry like that! 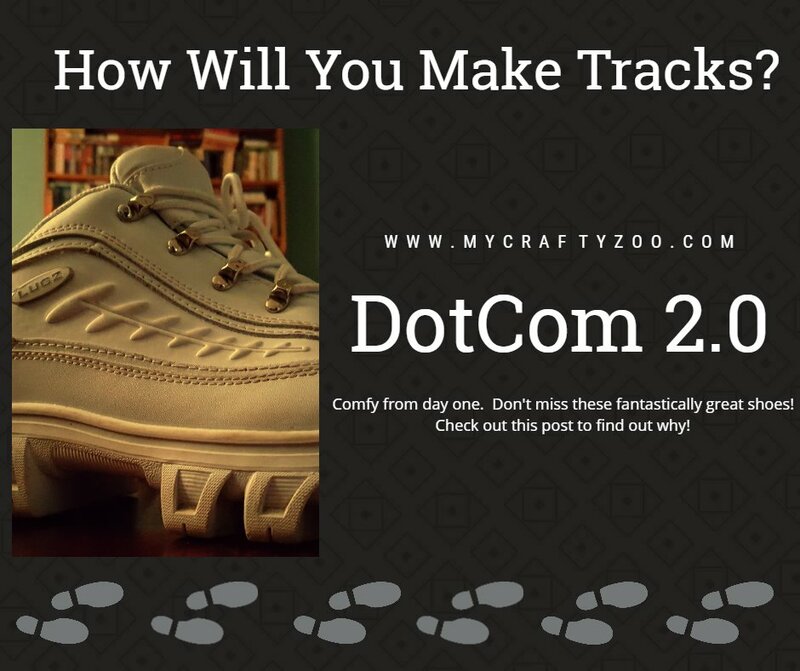 The DotCom 2.0 shoes are a retro design inspired by kicks in the 90’s, the original DotComs. Perhaps the 90’s throwback design is what made me fall in love with the style! These shoes combine the best of both worlds: athletic shoes and boots! How great is that? Of course, if it’s not good enough for you there’s that amazing super comfortable from day one thing! There’s a padded insole and thick rubber out sole that cushions every step you take, amazing on knees that haven’t been taken care of! We’ve loved Lugz for a while!Â They last forever, keep your feet super warm and dry while looking fantastic!Â We’ve reviewed a few other styles around here and are still wearing them!Â I frequently wear my MallardsÂ and work in myÂ Thetas!Â However, my winter favorite are the statement making Empire High CRs!Â If you prefer boots, definitely check them out! If you’d like to sponsor a post such as this, please contact Kaycee: mycraftyzoo (at) gmail (dot) com.Â We’d love to work with you! 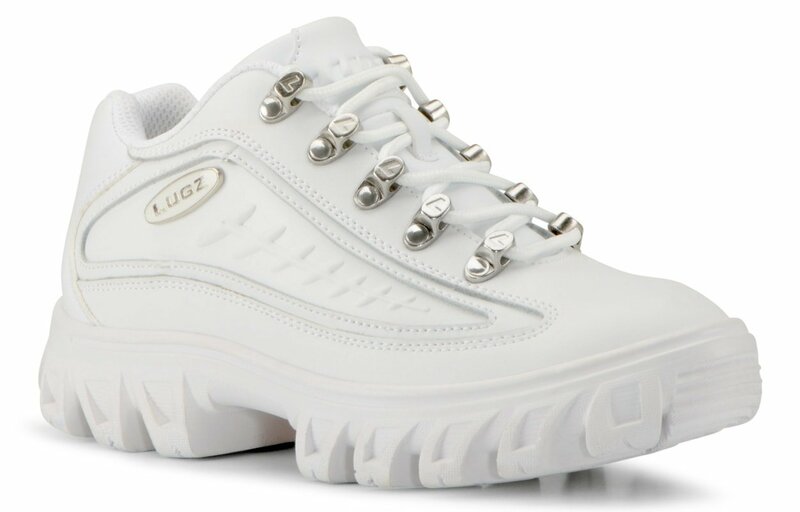 I love Lugz because they are not only rugged but very comfortable and easy on my feet. I like how many choices of colors they have on their site. They even have red my favorite. I love their styles and how durable they are. I like the Black Smooth Men’s Dot.Com 2.0 Oxford Sneaker which has chunky soles and looks rugged and sturdy. we love Lugz too! I agree they keep your feet warm in the colder months and have a great assortment of styles. My daughter owns 2 pairs of the boots, including one I got her in purple with white soles, she has gotten so many compliments on them! I checked and these shoes are synthetic and without leather, which is what I look for. Thanks!